Tikijian Associates is pleased to have arranged the sale of Brookwood Apartments on the south side of Indianapolis. The sale of the 404-unit apartment community closed on October 19, 2016. 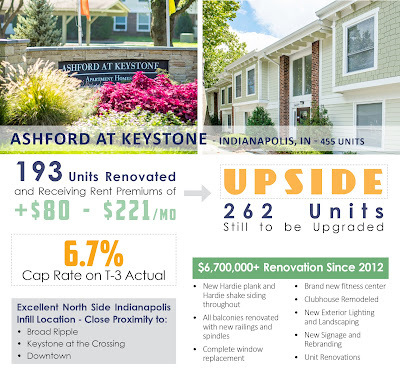 Tikijian Associates represented the seller, Ardizzone Holding Company, an Indianapolis based owner and manager of multifamily properties. Ardizzone Holding Company acquired Brookwood in 2008 from AIMCO as part of a five property portfolio. Over its ownership period, the seller completed significant property improvements and unit upgrades. 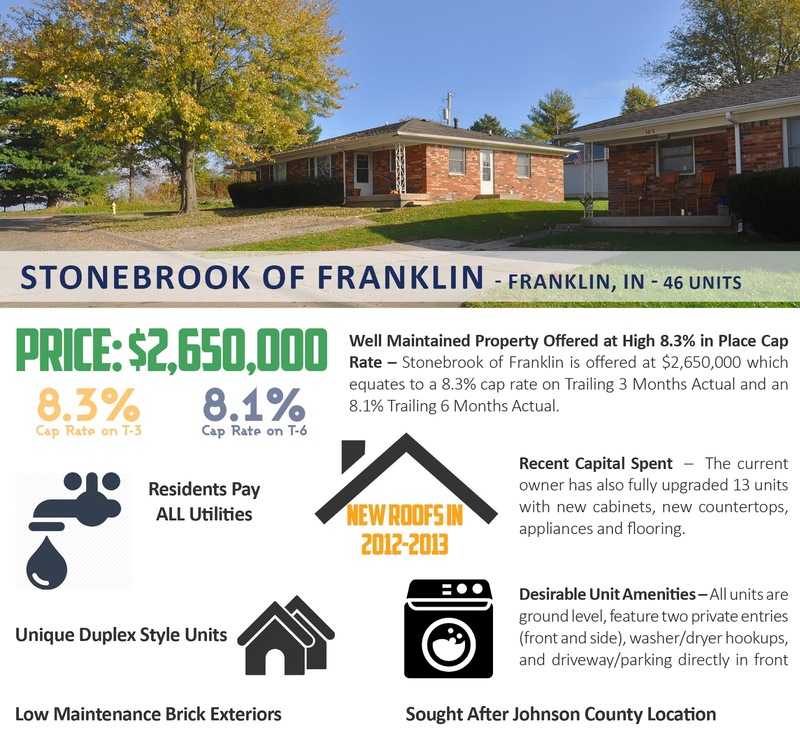 As result of these improvements and the seller’s excellent management, the property achieved a history of high occupancy and strong financial performance. The buyer and new owner of Brookwood is Monarch Investment & Management. Based in Franktown, Colorado, Monarch now manages more than 35,000 units in twenty states as well as a nationally franchised hotel and a Colorado ski area. The acquisition of Brookwood marks the company’s second acquisition in the Greater Indianapolis area. Tikijian Associates is a market-leading boutique brokerage firm specializing exclusively in multifamily sales throughout Indiana. The sale of Brookwood was the nineteenth completed transaction in 2016 for Tikijian Associates, representing over 4,000 units and more than $223,000,000 in value.